We cover the following towns and cities in Hertfordshire, Essex, Surrey and Kent, so if you are thinking about scrapping your vehicle and would like a free valuation, the please contact SMC South East today. 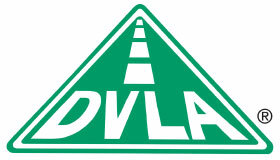 We will arrange a convenient time to collect your vehicle from any of these places and upon collection, we will complete the relevant DVLA forms with you. We will then take your vehicle away ready to be scrapped. Contact one of our experts today and we will be happy to answer any questions you may have about our scrap car services. We will then be able to provide you with a free quotation.